Adventurestore was born out of the unfulfilled need for good quality outdoor hardware and tactical gear in Luxembourg. At that time there were already some outdoor stores around, all of which were much bigger than us newcomers. However, most of them did not sell much hardware but a lot of clothing. 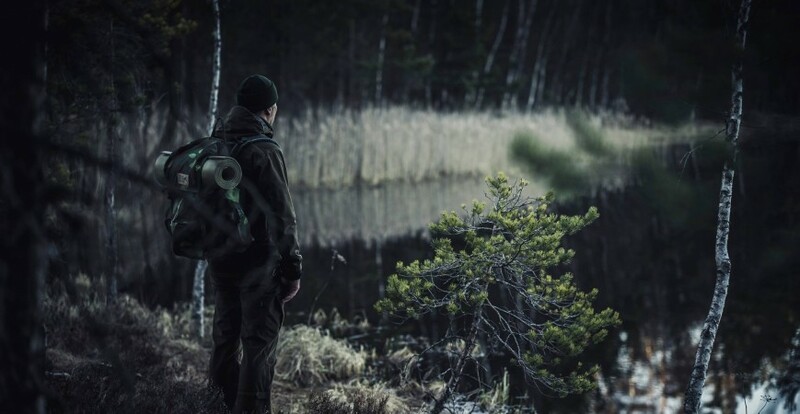 For these reasons our focus has always been more on hardware, because you could find some reasonable outdoor clothing in the already existing shops. However, many of these shops sell a mix between what we consider real outdoor clothing, and “outdoor clothing” that, in reality, is closer to street wear than to the outdoors. For this reason we started to also sell outdoor clothing, which we consider better than the one you can get everywhere. Still, for us to take a clothing brand, or product, into our selection of products it has to really convince us that it’s different, and better, than the rest that’s out there. There are a few points, in which the brands and their products need to convince us. Being a small company we will never have the biggest selection of products, or the largest amount of brands that are out there on the market. Also, we will probably never be the cheapest store, where you can buy your stuff at half the recommended price. There are other shops for the people who seek that. But all of this is not within our goals. We want a few top nodge brands, which we – and our customers - can rely upon, and relate to. Part of relating to a brand is the brand identity and philosophy. If we don’t like the letter of a given brand, as nice as the products might be, we will not sell their products. When talking about a brand’s philosophy it is important to us that we have the same main principles when it comes to several points, the most important of which will be addressed in the following parts. We already talked about sustainability of outdoor products on this blog, and we will not go into much detail on this subject today. It is important for us that the clothing we sell is sustainable from an ecological point of view, but also from a social one. These are two aspects that are especially hard to find in the clothing industry, due to the status quo of the market, and how competition among many players has led the market to be at this moment. So, what do we do to help social and ecological sustainability? All the clothing brands that we sell have the same goals as we do in these aspects. They want to sell clothing in a sustainable way, starting with a sustainable choice of materials (both the material itself, and where it comes from), over a sustainable and fair production, up to a sustainable distribution model. Speaking of the choice of material, we have for example Woolpower who use the fairest merino wool on the market, Carinthia who produce their very own insulation material, and we have our Finnish friends over at Sasta who work a lot with local wool, and with organic cotton, and even recycled materials such as recycled polyester and wool. Speaking of production, most of our staple brands produce their clothing in Europe. Carinthia produce in Austria, and other European countries, Sasta in Finland and some Baltic countries, and Woolpower is produced in Sweden. The only brand who produces in Asia is Pinewood, but unlike many other brands they produce in their own production site and under fair conditions, which has also very recently been awarded by the BSCI (Business Social Compliance Initiative). Carefully choosing our partners helps us to prevent unfair production conditions, both socially and environmentally, and to ensure shorter transportation ways with less CO2 emissions. Of course, it also helps us to support the European industry and innovation, ensuring the future of the European outdoor products market, and we support European workers in these production sites, we support their families, and help securing their retirements. We are very well aware of the fact that we can probably not change the world to the better all on our own, but at least we do not want to contribute to changing it for the worse. Of course, the best brand philosophy and production conditions alone are not sufficient for us to choose to sell a product. An equally important aspect is the quality, the design, and the function of the product. While it would be too much to explain all the bits and details that we are looking for in an outdoor garment, in order for us to take it into our selection, we always make sure that all the products that we offer to our customers meet our strict criteria concerning product design, quality, durability, and function. Testing a lot of new products in real conditions ourselves, we are in the best possible situation to judge the function and quality of a garment, and to make a pre-selection of products that can stand up to these tests. Of course, our customers could not make these tests themselves, without having to buy several different pieces of the same type of clothing in order to choose the best. We do this for our customers, even if it is linked to a substantial effort in time as in money, and the customer feedback that we get shows us that most of the time we made the right choices. Compared to hardware, the outdoor clothing market is a very strange one, where you can see influences of both the outdoor industry and the clothing industry. The latter makes that most brands feel the need to come up with new collections twice a year, to produce new products, new models, new features, new colors, etc. Obviously technological innovation in design, but mostly materials, has always been a propelling force in the entire industry, and it’s a good thing to have good and innovative new products. However, if the industry only produces new products because they feel the pressure to do so, the result may not often be very satisfying. In the choice of our brands we take this factor into consideration, and all of our brands have a very strong inner core of very popular products, that have been around for years, and relatively little new products, which are well thought through and tested. This way we can assure that the very most of the new products are the fruit of many hours of work, and testing, and are really worth taking a look at. We are absolutely certain that if our friends at Carinthia or Sasta come up with a new product, there is a reason for it, and that the reason is not because there’s a new season coming up and they simply need a new collection. This way we can ensure a certain simplicity, and that products are not just packed with useless features, just to be somewhat new or innovative. Also, we can make sure that our customers do not feel the need to buy a new garment every few years, just to be up to date. This, combined with the high quality of our products, also helps us to ensure the sustainability of our products even more. Our customers don’t need to buy a new garment every now and then, which means that there is less production, less transport, less material needed, and, equally importantly, that our customers spend less money. In the end, it was well worth spending some more money on a good high quality garment that is better, more sustainable in all different ways, and that will last you for years, instead of buying something new every now and then. Following this philosophy, we will never be selling outdoor clothing to everyone on the market, because not all people understand this philosophy and are willing to follow it. However, the feedback of our customers allows us to say that we are not completely off track with how we do things, and we must admit that we are proud of that.